In addition to an expected bigger 4.7-inch display, Apple's next iPhone may also pack in a much larger battery, representing a 45 percent increase in capacity from the company's current flagship iPhone 5s. The latest rumor about the battery in Apple's anticipated "iPhone 6" was posted to Chinese social media site Sin Weibo by analyst Sun Chang Xu. The note, which was highlighted by GforGames, suggests that the 4.7-inch version of Apple's next iPhone will boast a 2,100mAh battery. If true, that would represent a huge 45.8 percent increase over the 1,440mAh battery Apple currently features in the iPhone 5s. It's possible that Apple could accomplish the increase by decreasing the size of other internal components, and also featuring more internal space with a larger display. Apple's current flagship iPhone 5s features a display that measures 4 inches diagonally in a 16:9 ratio. 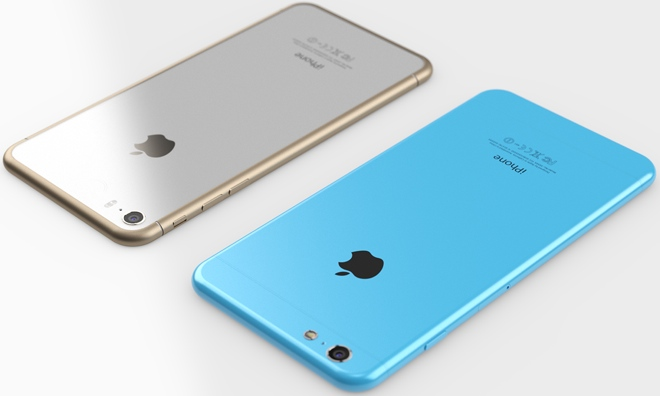 The "iPhone 6" is rumored to come in two larger sizes of 4.7 inches and 5.5 inches. Last month, an 1,810mAh battery purportedly for Apple's "iPhone 6" was shown off in photos that appeared online. But according to Sun's latest post, while the smaller battery was legitimate, it was only used for testing purposes during development of the final product. According to Sun, the final design of the 4.7-inch "iPhone 6" will in fact come with an even larger 2,100mAh battery, which would be an increase of 660mAh from the iPhone 5s. With "iPhone 6" rumors gaining steam as Apple heads into its anticipated fall launch, all questions will likely be answered on Sept. 9, when the company is expected to hold a media event to show off its next-generation iPhone. The device is rumored to have a next-generation "A8" processor and market watchers believe the update will lead to Apple's biggest product launch ever.